The intersection of Boston Avenue and College Avenue will be redesigned and rebuilt over the summer to make it safer for drivers, cyclists and pedestrians. 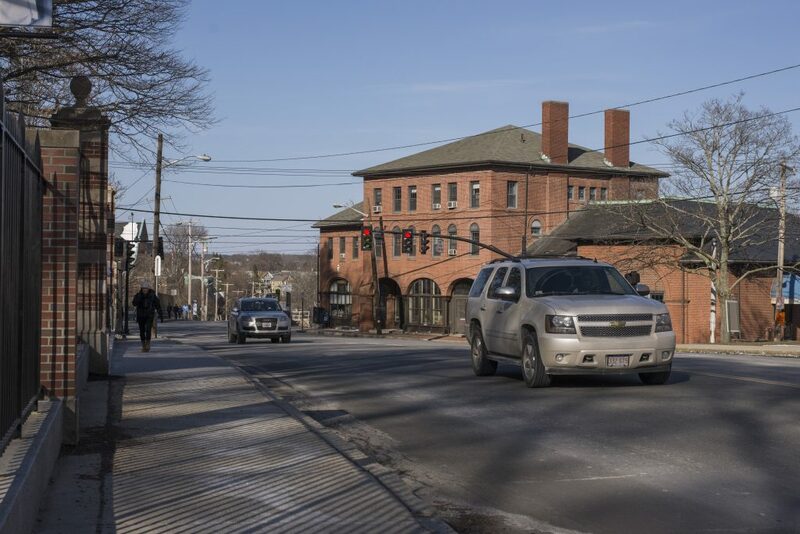 The intersection has long been seen as a problem point for the Tufts community, according to Director of Campus Planning Lois Stanley. Stanley said that in 2012, graduate students in Tufts’ urban and environmental policy and planning master’s program surveyed Tufts students, faculty and staff to find out which campus intersection was perceived as the most dangerous. “The Boston/College [Avenue] intersection came up at the absolute top of the list,” Stanley said. According to Senior Capital Project Manager Su-san Lancoon, who has managed the redesign project since 2015, the redesigns will seek to improve the intersection for pedestrian traffic but will also improve its overall safety. Lancoon said that the intersection’s current problems stem from its inexact layout, which almost seems to combine two intersections in one. This creates complicated traffic cycles for both cars and pedestrians and makes it difficult for pedestrians to cross the street in time using the crosswalks, according to Lancoon. The redesign project will seek to address that issue. Lancoon added that the redesign will widen sidewalks in order to make them wheelchair accessible and that improvements will be made to traffic signals to make traffic cycles easier for drivers to understand. According to Lancoon, there is often no indication for drivers on when to make left or right turns because it is not clear whether the cars in oncoming traffic have a red or green light. Furthermore, Lancoon explained that the project will attempt to make the intersection more visible to encourage drivers to proceed with caution. “We’re going to create this kind of crosshatch pattern within the intersection just to make it more visible so if people were driving, they’ll see this crosshatch pattern and understand that it’s a special location, and they need to be more careful, and hopefully it makes pedestrians more visible,” Lancoon said. According to Rocco DiRico, co-director of community relations at Tufts, safety measures for pedestrians will include sidewalk improvements, which will increase the area’s accessibility. DiRico explained that significant improvements are being made to allow bicyclists to share the road more safely with cars. “‘Sharrows’ will be added to the road, so that drivers will be aware that they need to share the road with bicyclists. A bike box will also be added to the westbound approach on College Avenue to give bicyclists a safe space to wait for the light to change,” DiRico said. DiRico emphasized that the intersection project has been a collaborative effort with the City of Medford as well as local groups to make the area safer for everyone. According to Lancoon, construction on the intersection will begin in May or June and will be completed by the time students return for the fall semester. “I think it’s exciting that we’re going to get to see some improvements, and we want to make sure that everybody stays safe,” Lancoon said.